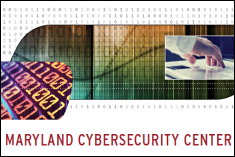 UMD Receives $4.5M for Science of Security "Lablet"
"Our goal is to establish mathematical models that can be used to address cybersecurity threats more broadly..."
COLLEGE PARK, Md. - The University of Maryland has received $4.5 million in federal funding to establish a Science of Security "lablet," a group of researchers tasked with developing new scientific methodologies and tools related to cybersecurity challenges and needs. "Much of the existing work in cybersecurity is reactive, and focuses on designing 'point solutions' to specific problems," says Jonathan Katz, director of the Maryland Cybersecurity Center (MC2) and lead principal investigator of the lablet. "Our goal is to establish mathematical models that can be used to address cybersecurity threats more broadly, and to carry out empirical studies that can help validate those models." Based in MC2, the lablet unites 15 faculty researchers from five departments across campus—computer science, electrical and computer engineering, information studies, criminology, and mechanical engineering—who will generate a body of knowledge and design methodologies that serve as a foundation for cybersecurity. Maryland joins North Carolina State, Carnegie Mellon and the University of Illinois at Urbana-Champaign in receiving lablet funding from the innovative program launched by the National Security Agency in 2012. UMD will receive roughly $1.5 million per year for three years. "The university's designation as a Science of Security lablet is a testament to the breadth of our expertise in cybersecurity," says Patrick O'Shea, vice president and chief research officer at UMD. "It also speaks to our broader mission of addressing grand scientific and societal challenges by forming innovative transdiciplinary partnerships across multiple departments on campus." The Maryland scientists will work with government experts in using mathematical and programming-language tools to study the verification and composition of security properties; conducting empirical studies on vulnerability exploits; and understanding the role of human behavior on cybersecurity, both from the perspective of honest users and attackers. Research from the lablets will be widely distributed via a publicly accessible wiki. This interactive environment is intended to be a primary resource for learning about ongoing work in the science of security, as well as a place to participate with others in advancing this state-of-the-art discipline. MC2 is supported by the College of Computer, Mathematical, and Natural Sciences and the A. James Clark School of Engineering. It is one of 16 centers and labs in the University of Maryland Institute for Advanced Computer Studies.